Your “One and Only” choice for quality auto glass repair and replacement. Only 1 Auto Glass specializes in auto glass replacement. We are recognized by all major insurance companies and are A rated by the BBB. 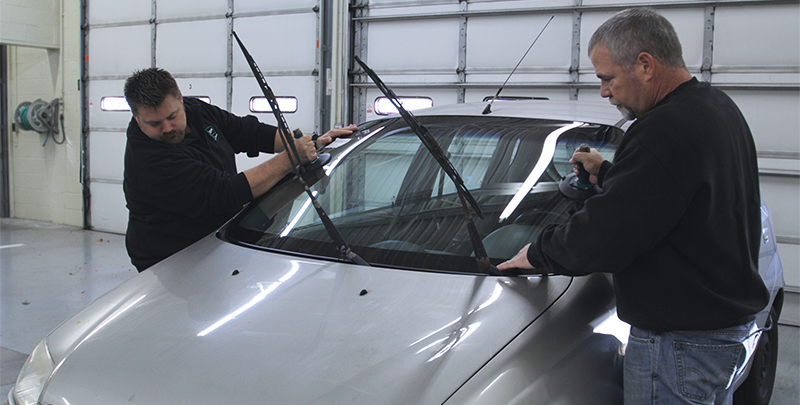 All of our auto glass replacement technicians are AGSC certified and stand behind their work 100%. At Only 1 Auto Glass we do our best to make your windshield replacement smooth and hassle free. We handle all of the paperwork for you and are experts at working with your insurance agent. We manage the claim and do our best to make sure you have no out of pocket expenses. We know that your auto glass is a structural part of the vehicle. That’s why we use only the finest auto glass and DOW urethanes and adhesives to give you the same performance as the original equipment manufacturer of the glass installed in your car. In fact, our materials meet or exceed Federal Motor Vehicle Safety standards and original equipment manufacturers. Broken side or rear windows? We can handle those too. If you do not have glass coverage we also have cash options available. In most cases we can come to you or depending on weather we can bring the car to one of our many locations across the twin cities. AGSC certified expert auto glass installation technicians. We manage the claim, work directly with your agent and keep you from having any out of pocket expenses. Lifetime Warranty: Only l Auto Glass will cover all auto glass replacements, Windshield, back glass, door glass.... The installation of all auto glass products are guaranteed for as long as you own or lease your vehicle and are not transferable. In the event of any problem simply call Only 1 Auto Glass, your windshield replacement expert, and we will take care of it at no cost to you. Our Warranty has you covered Nationwide. If you are traveling throughout the country and a problem with your auto glass occurs, call us and we will direct you to one of our Affiliate shops near you. Exclusions from Warranty: If prior to auto glass installations, there is body damage or rust along the pinch weld area where the windshield is adhered to vehicle a warranty will not exist.